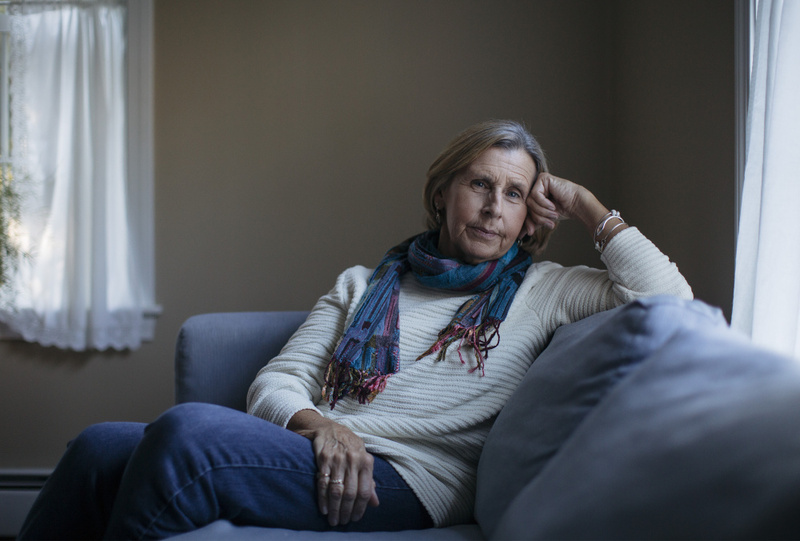 A retired teacher, she helps absorb the sadness of families experiencing grief. For years, when Patricia Stone passed by the Center for Grieving Children on Forest Avenue, she would wonder about what happened there. Then about nine years ago, after Stone retired from teaching kindergartners and second-graders full time at Bridgton-based SAD 61, she called the Portland center. Stone, 63, became a volunteer, joining a small group that leads hourlong sessions with people going through some of the darkest times in their lives. Stone focuses on people experiencing life-impacting illness, either personally or through a family member. All of her clients have a connection to a child, the main qualifying factor to receive help from the center. With nearly 20 years of experience teaching youngsters, and because of the organization’s name, Stone assumed that volunteering would mean she would once again work with children. But she is glad her path led her to working with adults. “Five-year-olds get old after a while,” she said. Her role falls somewhere between friend and therapist; she is not a counselor. Although the center provides its volunteers with 30 hours of training, Stone does not dispense advice. Her job is to listen, and many times, to help absorb the sadness and pain. Her group is an outlet for the things her clients feel they cannot say out loud anywhere else, and often the stories flow as soon as her clients sit down. For Stone, seeing the pain and hurt of illness reminds her of her own battle more than 20 years ago with debilitating depression. She remembers the feelings of loss and despair, and she hopes to provide the kind of comfort for someone else that would have helped her years ago. When Stone leaves each week, sometimes she is in stitches of laughter. Other times she cries herself home to Saco. “Sometimes, I think I go there because I want to give, and on my way home I think of how much I get,” she said. After each session, volunteers gather to debrief and support each other. It is an essential, nourishing process, she said.